She definitely took African fashion a step further with a blend of formal look. Stunning!!! 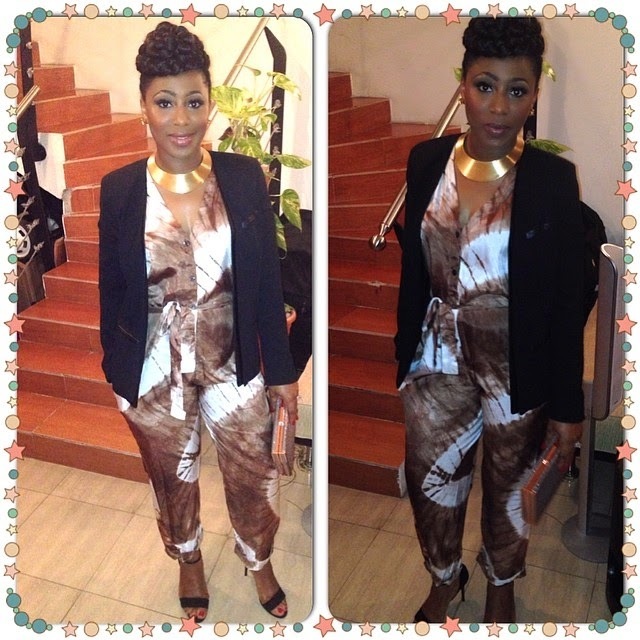 This entry was posted in Entertainment, Fashion trends and tagged Actress Dakore Dazzles In Tie and Die. ← Do You Consider Obasanjo’s Moves To Free Chibok Girls Disrespectful To Mr President ?